Will this get done? Some fans have doubt and call this a fantasy, such as the A's moving to San Jose anytime soon. I agree that this is the bay's team which is why I want the name to remain the "Golden State Warriors". That, to me, is inclusive of the bay and changing it to SF, to me, would signify that it was would be SF's team. Sure, you went to some kind of function where Lacob said majority of season tickets holders are outside of the bay. I don't know what the number is but I think it would be crazy to say that Oakland didn't have a big hand in the Warriors' attendance record. Like I said, man. Ain't nobody claimin that this is the Oakland Warriors. That didn't come out of my mouth. I adopted this team because it was in my backyard. It represented ME and where I'm from. I understand that that may not be the case for everyone who supports this team. I did not say anything to imply that anyone outside of Oakland supporting the Warriors doesn't have a "right" to anything. And nobody is jumpin ships either. Didn't say I was gonna follow another team. Dude what are you reading? I said I'd stop following the NBA as a WHOLE. That's how much this team means to me. They're the sole reason I'm even following this ****. You can interpret what I'm saying however you like. I'm not tryna be all dramatic or "grandiose" (da fuq?). This is how I feel about this team moving and I'm just expressing. In the grand scheme of things my opinion doesn't even matter. If anything it may just give you a perspective of how people in Oakland are perceiving the move. I'm talking about real fans too. Not your bandwagoning locals that get enthusiastic about the Warriors come only playoff time. Aite, 8th. 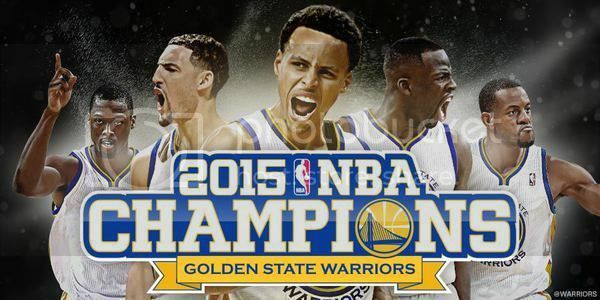 For what it's worth, I hope they keep the Golden State moniker too. I think it's unique and it's the best embodiment of the area this team represents. I'm just saying, as Shakespeare once wrote: what's in a name? By exaggerating all these phantom flaws in the move, we're taking away from the meat of the real issue: our squad is gonna have the best arena in all of basketball. Guber & Co have some seriously jaw-dropping shots of how this thing is supposed to turn out. They want a Sydney Opera House and it's looking pretty damn good so far. Instead of addressing all these non-issues about crowd noise and riding Caltrain, we should be stoked about the end product. The Bay Area is big enough for 2 teams. They wanna move across the bridge & change the name.. Watch some other c%^t swoop in and make the Oakland Kings/ Oakland Bucks or Oakland Pacers. The Warriors could play in San Francisco & the 2nd team in Oakland/San Jose would still sell out because East Bay represents!!! How about Golden Gate? The Golden State moniker came about when the team was also playing a limited number of home games in San Diego. PAWNO wrote: The Bay Area is big enough for 2 teams. I like the idea of a cross-bay rivalry; ala the Knicks and their new Brooklyn neighbors. But I absolutely think the Lacob contingent fears Larry Elison swooping in to claim the San Jose territory; for good reason. 1, San Jose has a rabid crowd; the Sharks and Earthquakes have LOUD action in their houses and this area truly has an appreciation for sports that rivals anywhere else in the Bay. 2, because Elison is a competitive cut-throat who will happy march into continual luxury tax with a "just tell me where to send the check" attitude. He's consumed with winning and if he someday acquires a team, you can bet that squad will be LOADED with talent. That will be a tough bridge to someday cross. I've been a Warrior die-hard, through and through, for 20 years as well... but San Jose is my backyard. 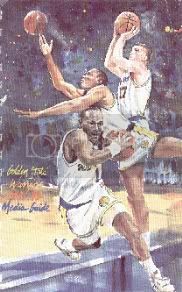 Especially if Elison plays to our Warrior lore and acquires Chris Mullin for a front-office role and Mitch Richmond for a color commentator. This is mad speculation, but you can bet that Elison will do whatever he can to corner the market. This is all pie in the sky though. The league doesn't want Elison because he'd make Mark Cuban look like Lew Wolf; if ever there was another character to rival George Steinbrenner, it would be Larry. Not a bad idea, my friend. We could also just cut out the cryptic language and simply go with "Bay Area Warriors" or "Bayside Warriors"? I would get behind something like that. I think you're pretty safe, honestly, 8th. It sounds like only Guber is the one trying to change the name of the team. Early on, when the move was first announced, I endorsed keeping the name because of the exact issue you're talking about. Even though I disagree with leaving the team over a name-change, I can admit that it certainly alienates the East Bay. To suddenly go from being "Golden State; the Bay Area's team" to just the "San Francisco Warriors." It stinks of "we don't want the rest of you; just San Francisco." I doubt it happens; Lacob is the business mind and he knows that the market comes from all areas of the Bay, not just Frisco. But that being said, there is a certain reputation that comes with San Francisco teams. The Giants and 49ers are both current models for success and if they were to head in that direction, I imagine it would only be for the national appeal of relating the franchise to other familiar franchises marked with success. I'm not an East Bay resident, so I'm not particularly familiar with the issue here. What's the hold up from Oakland to build another sports venue? Is it just the lack of capital? Cause, you're totally right, a new venue (be it a stadium for the A's/Raiders or an arena for basketball/music events) would seemingly stimulate the local economy back into an upswing. Why is Oakland's city council so hesitant? Yeah as long as they keep the golden state then I'll support the team no matter where they play. My Oakland & Los Angeles followers are bloiwing up over this proposal. 32 wrote: I think you're pretty safe, honestly, 8th. Fuk, man I have no clue. I remember when there were talks of the A's moving that there was a design for an coliseum in Jack London square. I think building an arena there for the Warriors would be INCREDIBLE. It would revive downtown a great deal and it'll be centrally located for the entire Bay Area. Sad to say it's not going to happen. I heard a bunch of chinese investors are putting in billions of dollars to renovate that area with shops, condos, and things like that too. It's just too bad. Stephen Curry sees himself staying with the Golden State Warriors long-term. Four years ago, Curry was disappointed that he wasn’t drafted by the Knicks; now he worries that moving to a new arena will alter the makeup of the Warriors’ notoriously rowdy fan base. "No offense to New York, but I'm so, so happy I didn't fall to them in the draft," Curry said. "No matter what they do with the new arena, they better not change the dynamics of the fan base. If we have the same fans, in this new place … man, I'd want to play here forever. Wouldn't you?" Curry is overwhelmed by the support he's received since leading the Warriors to the second round. "You wanna know how much this place loves their Warriors?" Curry said. "We made it to the conference semifinals and they gave me a freaking key to the city. The key to the city! For the semis! If we'd have won the title, they'd have put a statue of coach Jackson on top of the bridge." GSW fans are the most loyal in the nba. After a good twenty years of mostly bad performance, the fans have always been there. Now we are all getting the rewards.